If you’ve got a few extra dollars lying around looking for a good cause, here it is. A UCLA grad student and member of the school’s triathlon team has established a gofundme account to raise enough money to repay her mother for legal expenses after being sued by the driver that hit her. That’s right. She was run down from behind while riding her bike, yet she’s being sued for damaging the car that smashed into her. On Sunday April 6, 2014 while I was riding on my road bike from work, I was rear-ended by a speeding car with such force that the car’s front bumper was damaged. It is almost two years since the collision and I am still in great debt from the medical bills, property damage and lawyer fees. Instead of paying for my medical bills, the driver’s auto insurance company had sent me four consecutive letters and invoices claiming thousands of dollars of damages and threatening to sue me for the broken front bumper. First, the company claimed that I backed into the car, although I was on a road bike that does not go backwards. Then, they accused me of smashing into the car from the side – even though my bike was run over by both the front and back wheels of the car. In fact, my bike was still underneath the back tire of the car when the ambulance and police arrived. Sounds like the same insurance company that represented the road raging driver that ran me down several years ago. Or maybe they’re all like that. 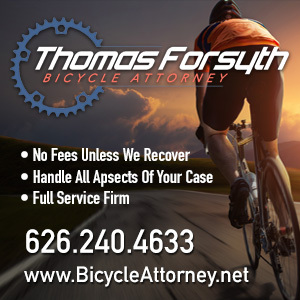 Bike riders often need a good lawyer after a collision, but unless there are significant damages, most lawyers can’t afford to take the case. So there’s no one to hold the insurance companies accountable for their outrageous behavior. And it’s the people on bikes end up getting screwed. Thanks to Alex de Cordoba for the heads-up. Break out your cow bells. A new team track cycling league will hold its inaugural races at Carson’s Velo Center on the 18th and 19th. The World Cycling League will host six mixed-gender teams with a hometown format; our local heroes will be known as the California Wave. The Times says candidates to replace termed out County Supervisor Michael Antonovich were asked questions about “bike trails in Santa Clarita that taper off when they cross into the surrounding unincorporated county area” at a candidate forum. But then fails to mention how any of them responded. Richard Risemberg notes that humanity, and in particular, humanity on bicycles, has returned to DTLA. 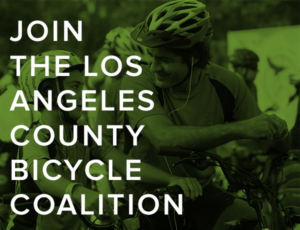 CiclaValley discusses what Strava heat maps reveal about cycling in the City of Angels. Even if you missed Sunday’s CicLAvia, there’s still a long list of open streets events coming up in the coming months. 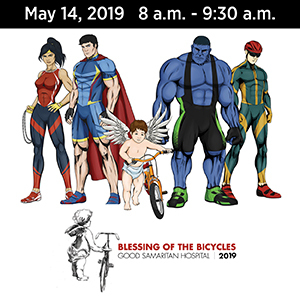 You’re invited to the official unveiling of Long Beach’s bikeshare program at 10 am today; the first ten stations and 100 bikes will be available to try out during the city’s Beach Streets Downtown ciclovía on the 19th. A tiny park in Orange was originally built as a rest stop for cyclists riding on a pair of long gone bike lanes. Which pretty much sums up the state of bicycling for the past several decades; hopefully that’s changing now. Nothing like mischaracterizing the story. San Diego Magazine positions the city’s new bike plan as nine miles of bike lanes versus the loss of 500 parking spaces. Then explains that as few as 233 on-street parking spaces might be removed, and those will be mitigated by the addition of 200 underground parking spaces. So it’s really bike lanes versus no big deal. San Francisco cyclists are forced to ride in a center lane in front of car traffic because of a local law banning bikes from the city’s expanding network of transit-only lanes. Plans to complete a nine-figure bikeway across San Francisco’s 80-year old Bay Bridge include an elevator to allow disabled riders — and anyone who doesn’t want to accept the challenge of a long, steep ride up the ramp — to access the bridge. Meanwhile, plans to improve bike access to the other side of the Bay Bridge could fall victim to falling gas tax revenue. New graphene-infused bicycle tires are more resilient than standard rubber tires, while remaining firm on straightaways for lower rolling resistance, yet softening while braking or cornering for added traction. Why settle for a dumb bell when you can have a new 95-decibel smart bike bell with built-in microphone, and accelerometer to alert you if it’s being moved without your knowledge? Singletrack Magazine disavows its own article offering ten reasons why a fat bike should be your only bike. Modern entrepreneurs often talk about blowing up existing business models; blowing up an actual Seattle bike shop, not so much. Police in my hometown have located the thoughtful driver who got out of his car to move a cyclist’s bike and backpack over to the curb, but left the victim he’d just run over lying in the street with long list of broken bones. Yet oddly, they still haven’t made an arrest. So much for political promises. Missouri cyclists plan to circle the capital building next month to protest the ridiculous proposal to require cyclists to attach a 15-foot high fluorescent flag to their bikes; the bill’s author promised to withdraw it weeks ago, but hasn’t kept his word. As if drunk drivers weren’t bad enough, a Wisconsin bike rider was the victim of a speeding, drunk bicyclist. The bike-riding mayor of Victoria, British Columbia wants to make bicycling the norm in the city. Tragically, a London woman has died after being struck by a bicyclist. Which is just another reminder to always ride safely around pedestrians; they’re the only people more vulnerable on the streets than we are, and even more unpredictable. London parents say the city’s streets are too dangerous for children to ride their bikes. British women hold a Suffragette Ride and Tea Party to call attention to the continuing gender imbalance in bicycling; male riders outnumber women three to one in the UK. Norway’s plan to build ten bicycle superhighways at a cost of nearly $1 billion will be funded by the country’s oil revenue. Now that’s putting it to good use. The third stage of the Paris-Nice cycling classic was cancelled mid-race due to snow; riders complained about the lack of a plan B.
Plug-in e-bikes are just so old school. A new Dutch model uses solar power to recharge while you ride. German discount retailer Aldi is starting to carry bike equipment, just in time for its planned expansion into Southern California. The bikelash rears its ugly head in New Zealand, as community members rise up against a bike lane that isn’t even finished yet. If you’re riding your bike while high, put a light on it — and don’t attack the cop who tries to stop you because you don’t have one. If you’ve ever wanted to own a Penny Farthing for pennies on the dollar, here’s your chance. The sad case of the rider being sued points out the need for cyclists to protect themselves with insurance. In her case, renters or homeowners insurance would provide her with a lawyer to defend her. It would also pay damages to the other party if the cyclist was at fault. I also recommend a video camera front and rear. Consider the cameras part of the required equipment, just like handlebars or a saddle. Can you explain that one? I know uninsured motorist coverage protects cyclists while they ride, but I’ve never heard of renters or homeowners being used for legal fees resulting from a collision, though they do protect against bike theft. You are absolutely correct about Uninsured/Underinsured Motorist protecting you on the bike-possibly it’s the most important insurance a cyclist can have if the correct policy limits are purchased. However, while homeowners/renters insurance will not provide liability coverage while you are operating a motor vehicle it will cover you for liability if you are on a bike. Much the same way it covers you for liability if someone trips and injures themselves on your property or if your dog bites someone at any location. Of course, you should always read the “Exclusions” section of your policy to see what they don’t cover, some dog breeds are excluded from coverage but I have never seen an exclusion for a bike accident that was caused by the policy holder. Liability coverage only protects you from third parties who are making a claim against you. Again, that’s why UM/UIM coverage is so important for a cyclist also. UM/UIM will also protect you if you are walking, running or otherwise if you are hit by someone who is uninsured or underinsured. I had no idea. I’ll mention that in my next post and credit you. 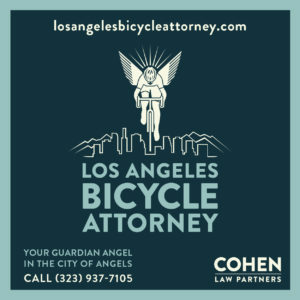 So why didn’t you tell me you’re a bike lawyer? You should be on my list of attorneys on the Resources page; I’ll have to fix that. Mike is correct. Cameras are the best solution. I ride with two at all times and they are now considered more important than my helmet. You can get a great Garmin for around $100. She needs to contact the attorney that advertises on your blog. He can file a counterclaim on contingency if her case is meritorious. I agree. I’d strongly recommend either of the attorneys that sponsor this site, as well as some on the Resources page. However, I have no idea who she has already spoken with. She settled for $2k? I’m surprised she didn’t do better, but then again, she had 10 lawyers? I’ve heard that homeowners insurance coverage varies quite a bit from company to company. People have recommended Velosurance to me, mostly for theft and roadside assistance, but maybe liability is more important than I thought. I’ll have to look into it again. I have a Fly6 rear light with camera that I haven’t gotten around to mounting. I guess I should get on it, just in case. This reminds me of two products of interest to cyclists that I haven’t heard much about recently. The locally produced black box camera and the under-chainstay mounted loop detector activator. The kickstart campaigns got attention and then they seem to have disappeared. That’s because the loop detector activator couldn’t work. I don’t know what happened to the “Black Box” device. She should countersue for intentional infliction of mental duress, and triple the amount she would get for the initial wreck, plus attorney’s fees. No check that, the dollar amount should start with 6 zeroes between the initial digit(s) and the decimal point, plus attorney’s fees. Unless she gets allowed to meet them in a back alley with them blindfolded and her with a u-lock.